A 2-year-old boy has died after being pulled from a backyard pool in Peoria last week. According to Peoria fire officials, rescue crews arrived at a home near 83rd Avenue and Happy Valley Road around 6 p.m. on September 3 to find family members performing CPR on the child. Rescue crews continued CPR as they transported the child to a nearby hospital. Police originally said the child was three years old, but later updated, saying the child was two years old. In an evening update, Peoria officials said the child's heartbeat had returned while recovering at the hospital. Unfortunately, police said the child passed away at the hospital two days later. It wasn't immediately known how long the child was submerged underwater, but police say there was no fence around the pool. At this time, the investigation is still active and no arrests have been made. Officials have yet to determine whether charges will be filed in the child's death. 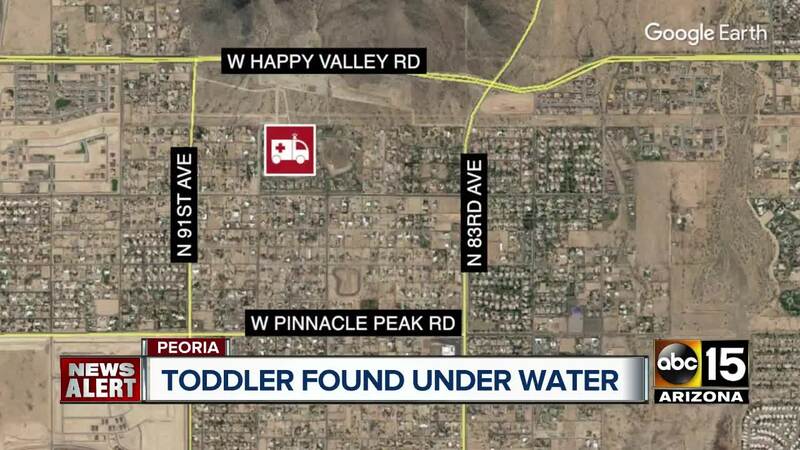 In another incident on September 3, a four-year-old Phoenix boy was hospitalized after being pulled from a pool near 7th Street and Greenway Parkway.